ESME is honored to feature Rosie’s Place, an organization that was founded in 1974 as the first women’s shelter in the United States. Its mission is to provide a safe and nurturing environment that helps poor and homeless women maintain their dignity, seek opportunity, and find security in their lives. Today, Rosie’s Place not only provides meals and shelter for these homeless women but also helps 12,000 of them a year take steps toward self-sufficiency with wide-ranging support, housing, and education services. Rosie’s Place relies solely on the generous support of individuals, foundations, and corporations and does not accept any city, state, or federal funding. Thanks to these donations, 88 cents of every dollar raised goes directly to services for poor and homeless women. ESME had a chance to chat with Sandy Mariano, vice president of internal programs. Q: When and why did you get involved with Rosie’s Place? A: I have been providing direct services to Rosie’s Place guests for almost 15 years, and before that, I was on-site as a mental-health worker for the state of Massachusetts. As I spent more time here, I realized that I wanted to be more connected. A: We provide three meals a day, shelter for 20 women overnight, a food pantry, and one-on-one support. We also offer women free English as a second language and computer classes, assistance with housing and employment, arts and self-advocacy activities, and outreach in the community. A: Women come to us who have lost jobs or housing, who are working but need help making ends meet, who are poor and alone and make use of our services and the sense of community we provide. Q: How many Solo Moms or Solo Mom families are you able to help? A: Because we do not accept government funding, we are not focused on collecting data. I can say that the majority of our guests are Solo Moms. A: We are always challenged to meet our fundraising goals, as 100% of our donations are from private sources. We also rely on volunteers to prepare and serve meals and teach in our classrooms. Thus, we strive every day to ensure that our work can continue. We are fortunate, though, that we have been embraced by the Greater Boston community. A: I find the work very rewarding, and over time, I have come to learn that I am more like than different from the women we serve here. We all share the same dreams of security and family and self-worth. Q: What are you most proud of in terms of your work and participation with Rosie’s Place? A: I am proud of the fact that we are able to continue to serve the growing number of women who come to us each year and that we are not static but we change and expand our services to meet their needs. Q: Is there any family or mom in particular who stands out for you? Can you share her story? Nai grew up in an affluent family in Egypt that emphasized education for Nai and her sister. In school, she mastered English, Spanish, and French, as well as her native Arabic. She came to Boston on a student visa at age 18 and went on to earn a nursing degree from Boston University and later a master’s degree from Yale. While working as a nurse, she met her husband, an American citizen. They soon had a baby girl, Cotti, but Nai was abused by her husband and rejected as a foreigner by his family. She left him, and a few years later, Nai and Cotti barely escaped a fire in their Chelsea apartment building. Nai, who received no support from her ex-husband, lost everything. She often said she thought he was responsible for the fire; this may have been when her paranoia began. Then, while walking Cotti to school, Nai watched as her daughter ran into the street and was killed by a motorist. Nai was devastated when the man, a physician, was acquitted. At that point, Nai’s life began to really unravel. Nai never applied for citizenship and, eventually, she lost her job, overstayed her work visa, and ended up homeless. For decades after, she bounced between having housing and living in shelters or on the street. Nai revealed her story to me very gradually over the 15 years we knew each other. She was a little wary of me at first, but I persisted, stopping to say hi or to have a conversation. When I began working as an Advocate at Rosie’s Place, we met regularly. Nai could be challenging to work with because her mental-health issues were so prominent and hoarding and argumentative behaviors caused her to jeopardize her housing. But that was balanced by her many wonderful qualities: she was quite smart, interesting, charming, and kind. She was appreciative of anything she was given and would knit scarves as thank-yous, with a stitch she said she created. She had a hard shell, but once Rosie’s Place was able to crack it, she felt safe enough to receive help from all of us here. Once Nai opened up, we learned her dream: to return to her home in Cairo. With her sister, we acquired all the documentation needed for a passport and sent information to the Egyptian Consulate explaining her situation. I even took a picture of Nai to prove to the consulate that the person in the picture matched her birth certificate. After about six months of constant phone calls and e-mails, the consulate issued Nai’s traveling papers. It was November 2014. She was excited but also nervous to fly home alone. Rosie’s Place staffer Jane Adler agreed to accompany her on the first leg of the trip, to New York. The morning of the flight, Nai tried to back out, but we knew that it was now or never. We called her sister, and after they spoke, she was back on track. She flew easily with Jane to New York and made the transfer to Egypt. When she arrived in Cairo, Nai called. Her exact words were “Sandy Mariano, I made it to Cairo, and I didn’t drop dead of a heart attack on the plane!” It was the best call I ever got. The last two years of Nai’s life were happy: she was with family, secure, and able to enjoy simple things like having her hair and nails done and enjoying tea at the beach. We learned that she passed away peacefully in June and was buried with her daughter, as she had asked. She was 84. Sandy, thank you for sharing this wonderful story and for the work that you do. At ESME, we appreciate how many Solo Mom families have been helped by your dedication and the wonderful team at Rosie’s Place. 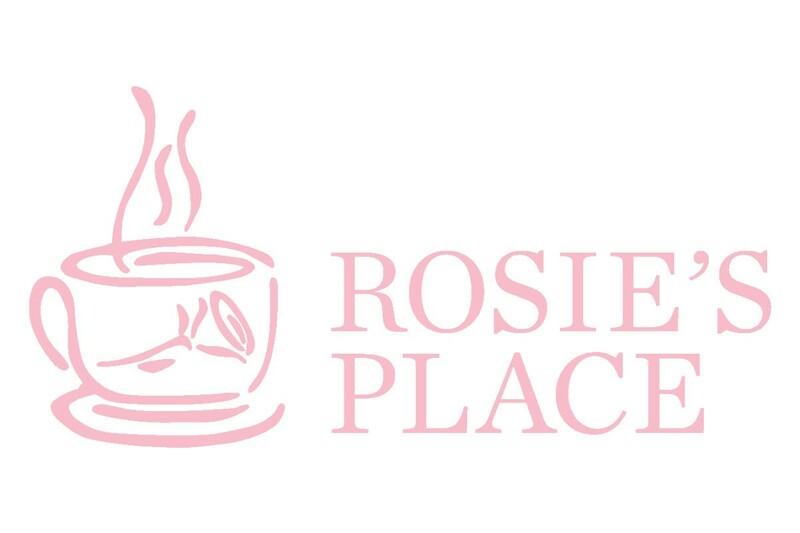 To learn more about Rosie’s Place, check out its website at rosiesplace.org.